I hope that everyone has a safe and happy 4th of July with their family and friends. As you are with your families, please say a little prayer for all those men and women who will not be with their families this year. 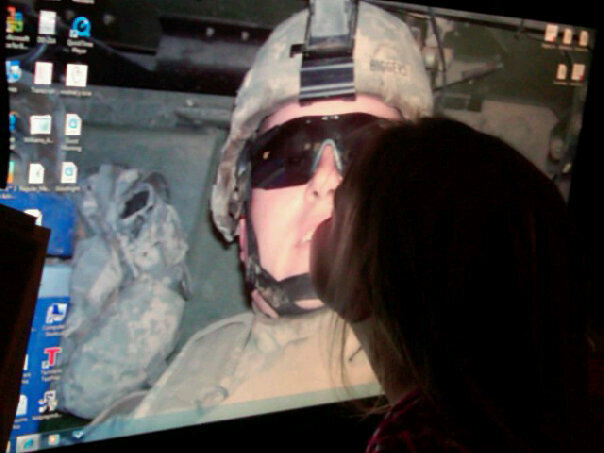 Thank someone who has or is serving our country and be reminded that this is a day to celebrate those who keep us free. No matter what your personal opinion is about the military or your political offiliation, these pictures show the reality of the family behind the soldier. 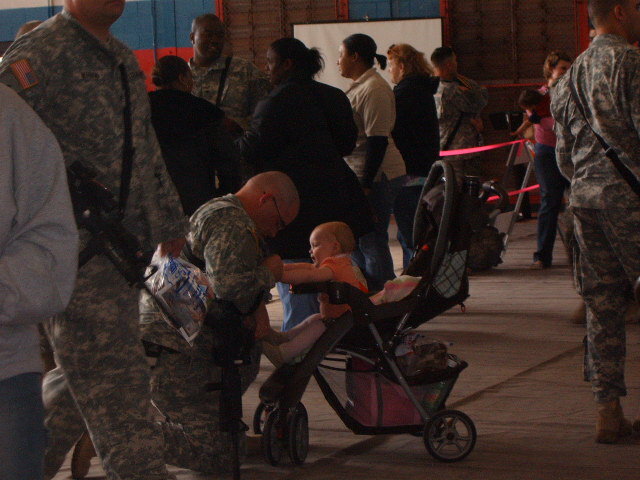 A complete stranger took this picture for me when we were saying out good-byes before my husbands first deployment. She captured a moment that is so sincere and I couldn't thank her enough. R & R is both the best and the worst part of a deployment. You're so happy to see your soldier, but it breaks your heart to watch them go back. For a little bit of fun. 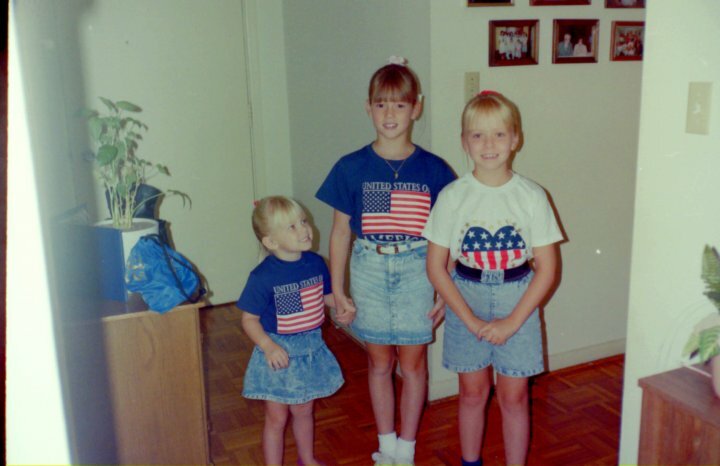 Here is an old picture of 3 little Air Force brats. Can you tell which one is me. 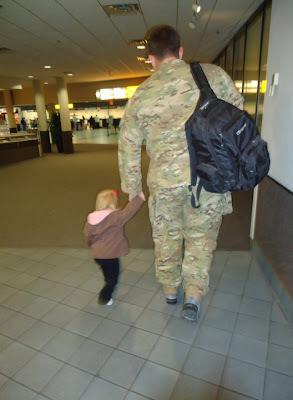 :) My awsome Dad served 20 years on the Air Force and was my hero growing up. BTW - Yes, I realize that today is only the 3rd, but I don't have access to the internet tomorrow so early it is. Hope you all have a blessed 4th of July. What an incredibly touching post with very moving pictures. You brought tears to my eyes. Wishing you and your family a very happy 4th of July.